It has been shown in clinical trials that consuming a 300mg dose of Vaso 6 can increase vasodilation by 50%. Vaso 6 is a relatively new novel ingredient made from company Compound Solutions that have been clinically proven to increase nitric oxide production in the body resulting in more blood flow to the muscles. This ingredient is a special extract of grape seed and green tea that not only helps with vasodilation but supports endurance and recovery. Where Does Vaso 6 Come From? Vaso 6 is obtained from a set of plant extracts, particularly from grape seed and green tea extracts. A study conducted in the year 2000 had found that the method to extract green tea’s constituents had contributed to increased vasodilation. How Does Vaso 6 Work? Vaso 6 works by stimulating blood flow while maintaining lactic acid levels to maximise your workout intensity. When there are high levels of nitric oxide, Vaso 6 releases cyclic GMP production from the endothelial cells of the vascular system. This is what causes your veins to relax and expand which results in bigger and fuller muscles. You will notice that there are many trademarked and patented ingredients that will appear in supplements and Vaso 6 is one of them. As the name suggests, it is an ingredient that helps with vasodilation that allows more efficient blood flow for ATP production and muscle recovery. Most trainers want to increase strength and build muscle, Vaso 6 acts as a superior nutrient that delivers more nitric oxide to your muscles which make them look bigger and fuller. Further to this, various studies have also demonstrated that this vasodilator and nitric oxide enhancer can increase blood flow, enhance glucose uptake, reduce fatigue as well as improve strength and recovery. Citrulline is an amino acid that is known for increasing blood flow and muscle pump for athletes looking to maximise nitric oxide levels throughout their workout. But how does it compare to Vaso 6? Vaso 6 is a patented blend of six different compounds extracted from green tea catechins. Although both ingredients act as a powerful nitric oxide booster, studies have suggested that Vaso 6 converts to 50% nitric oxide whereas citrulline only converts to roughly 5% nitric oxide.4 This is where Vaso 6 separates itself from citrulline and other typical nitric oxide boosters like arginine. Because Vaso 6 is derived from green tea extracts, this ingredient is deemed safe for consumption. 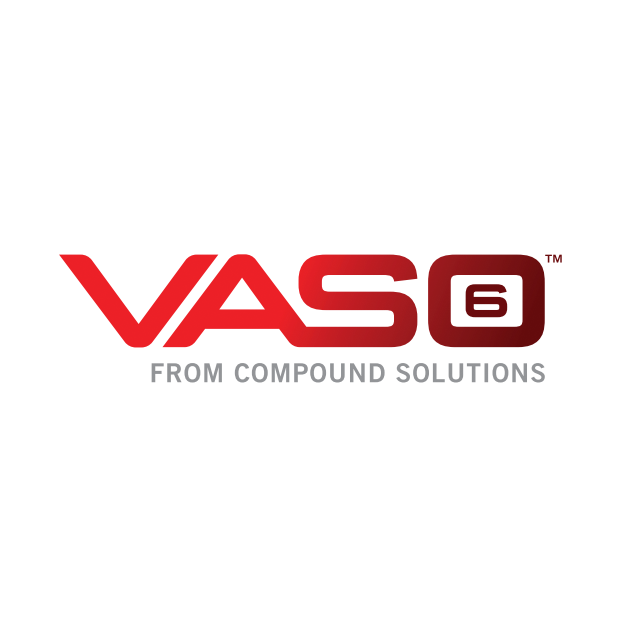 Compounds found in Vaso 6 have been reported to be regulatory compliant. Vaso 6 is a premium quality ingredient that have undergone a variety of clinical trials have reported that consuming a 300mg dose of Vaso 6 produces a 50% increase in vasodilation compared to 7 grams of arginine (popular pump ingredient). Vaso 6 can be found in a variety of supplements including pre-workouts, non-stim pre-workouts, nootropics, natural performance products as well as energy drinks. As it is still relatively new, it hasn’t been seen in too many supplements, but they have been included in Olympus Labs Re1gn Pre-Workout and in Switch Power Switch at the time of writing. As it is derived from green tea, Vaso 6 can be stacked with most supplements and other stand-alone ingredients including garcinia cambogia, L-carnitine or conjugated linoleic acid to support weight loss. 1Lorenz M, Wessler S, Follmann E, et al. A Constituent of Green Tea, Epigallocatechin-3-gallate, Activates Endothelial Nitric Oxide Synthase by a Phosphatidylinositol-3-OH-kinase-, cAMP-dependent Protein Kinase-, and Akt-dependent Pathway and Leads to Endothelial-dependent Vasorelaxation. J Biol Chem. 2004;279(7):6190-6195. doi:10.1074/jbc.M309114200. 2Fitzpatrick DF, Fleming C, Bing B, Maggi DA, Malley MO. Isolation and Characterization of Endothelium – Dependent Vaso relaxing Compounds from Grape Seeds. J Agric Food Chem. 2000;204:6384-6390. 3Nogueira L, Ramirez-Sanchez I, Perkins GA, et al. (-)-Epicatechin enhances fatigue resistance and oxidative capacity in mouse muscle. J Physiol. 2011;589(Pt 18):4615-4631. doi:10.1113/jphysiol.2011.209924. 4Kim JA, Formoso G, Li Y, et al. Epigallocatechin gallate, a green tea polyphenol, mediates NO-dependent vasodilation using signalling pathways in vascular endothelium requiring reactive oxygen species and fyn. J Biol Chem. 2007;282(18):13736-13745. doi:10.1074/jbc.M609725200.